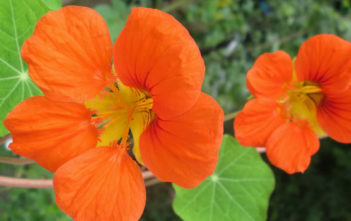 You are at:Home»Archive for "Tropaeolum"
Tropaeolum, commonly known as Nasturtium, is a genus of roughly 80 species of annual and perennial herbaceous flowering plants. It was named by Carl Linnaeus in his book Species Plantarum, and is the only genus in the family Tropaeolaceae. 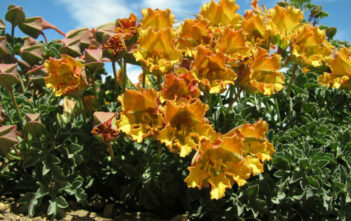 The genus Tropaeolum is native to South and Central America.